Large ant workers are often thought of as a defensive caste, but the true role of these "majors" varies among species. 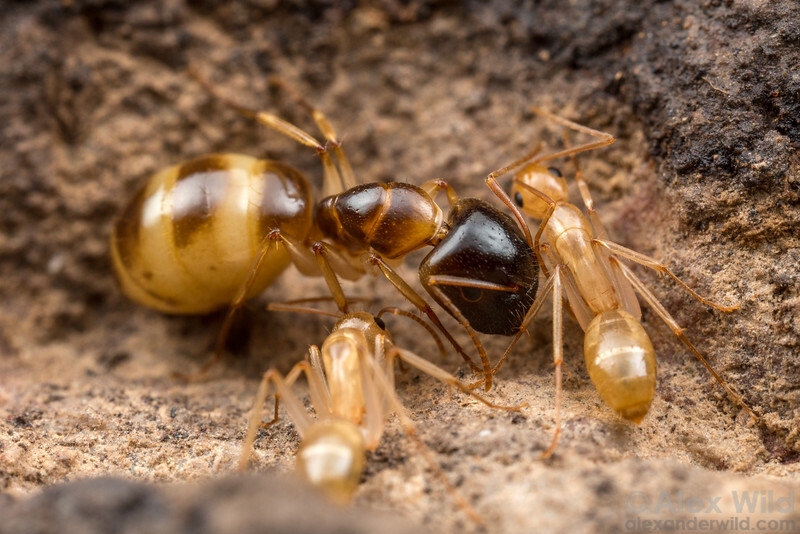 In some, like this Camponotus, they serve as living storage containers. Note the enlarged abdomen of the major worker in this photo. Diamond Creek, Victoria, Australia.